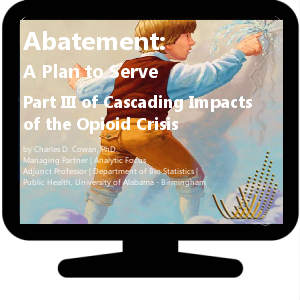 To provide a uniform perspective, the goal is: Deliver the most successful opioid abatement services to the greatest number of patients for the least cost and fixed total budget. A defined goal is actionable; an analytic assessment of the goal can find a best solution. Who gets what? This is a paper that addresses the problems of allocation in large-scale multi-plaintiff lawsuits. Our focus? 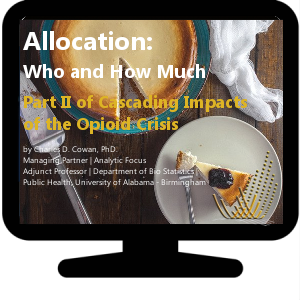 Losses due to the opioid crisis. The conclusion? 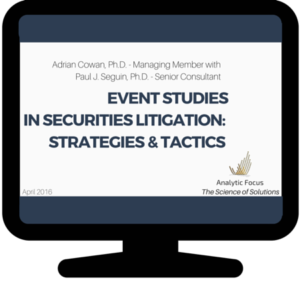 The ultimate allocation is an analytical problem – it is an optimization of a set of benefits that would accrue to all plaintiffs. 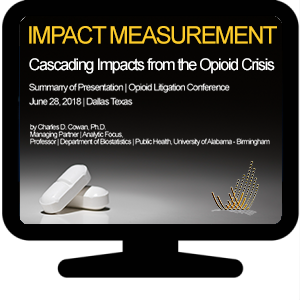 Calculating losses suffered by cities and counties requires cognizance of their internal data systems, a sense of where and what to count, and how to apply analytic models developed specifically for these types of problems. The key is to use systems that cities or counties already have in play. 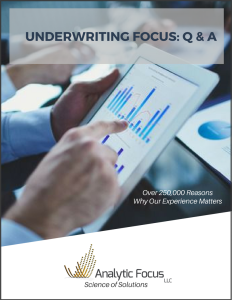 You likely have the same questions about the financial industry and risk. See what you can expect in the future regarding risk avoidance and risk mitigation. 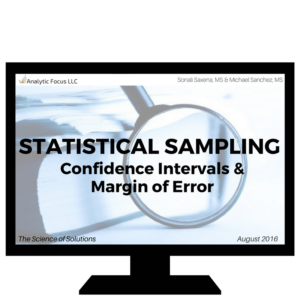 Decipher the Statistical Sampling concepts our experts routinely apply in litigation tactics. Our healthcare system is increasingly data driven. 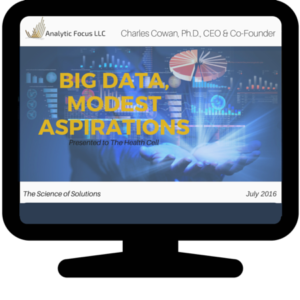 Learn to bridge the gap in seemingly unrelated industries and how harnessing data will impact the future of your business. Shine a light on the significant benefits and intricacies that are possible when implementing Predictive Analytics into your existing workflows. This presentation explores how the wound care industry could better move forward with the type of risk stratification that will enable more generalizable clinical trials. Read an excerpt from our internationally recognized economist’s webinar presentation regarding the navigation of challenging economic damages.